The abundant kowhai flowers along the riverbank attracted a host of warbling tui earlier this month, to the delight of walkers some of whom lingered as they crossed the bridge, cameras poised. Now we can hope that those birds with established nests are rearing their young with greater chance of survival than before FOOB came into existence. In September the trappers’ totals were 79 rats, 40 mice and 36 possums. This brings the number of rats caught for the year to over 600. So the trappers are cheering. But the continuing catch rate gives no cause for complacency. The task is endless, unlike the energies of volunteers! At the moment we have eight regular volunteers working about 50 traps each. The challenge is to enrol more as we expand. 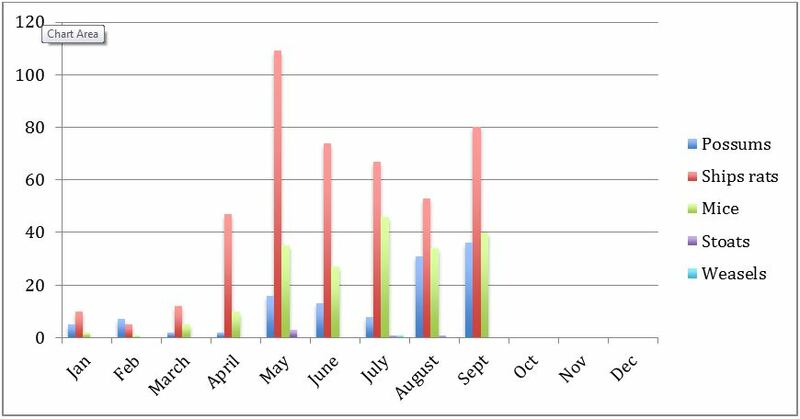 The increased numbers of animals caught, as shown in the graph, is partly a result of the extension of trapping lines, which now extend to the estuary at Stillwater. We now have 190 rat traps in place along the walkway and another 150 in locations off the track. The catch rate also reflects the seasonal availability of food. About 30 stoat boxes have been built of which 20 contain DOC 200 traps. Some of these can be seen, loaded with an egg, along the walkway and others are off track. Mice continue to be a problem by devouring bait from rat traps without always being caught. Some boxes include mouse traps and we have a small number of separate mouse traps. More are needed, along with the funds to buy them. Liaison has been established with a group in Auckland University’s Department of Statistics who are developing a programme called CatchIt. The GPS locations of all our walkway traps have been entered into this programme and we can thus monitor catch rates in each trap and area. The illustration shows an example of trap positions along Karepiro beach superimposed on a Google map. 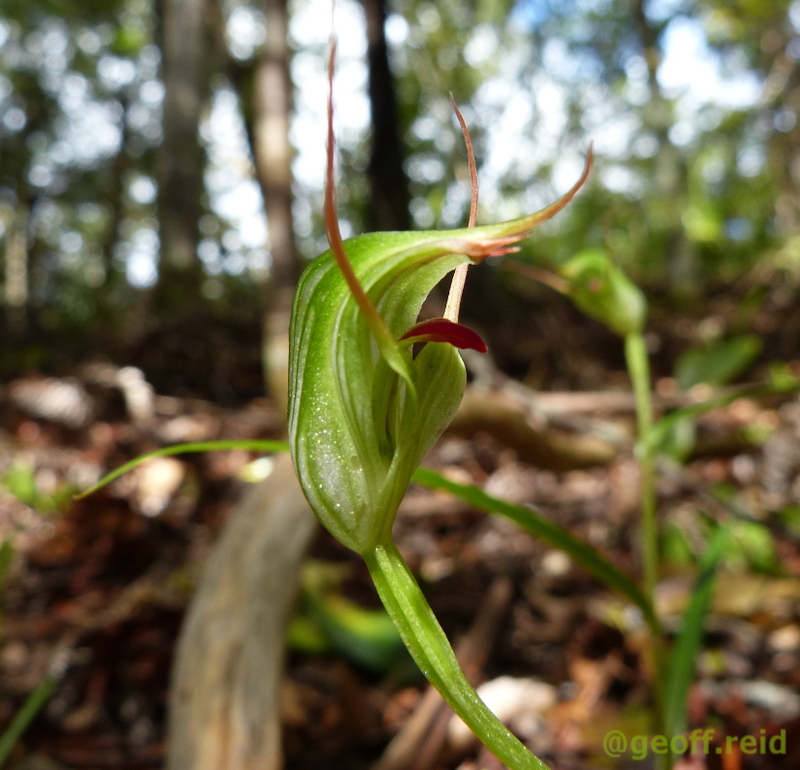 FOOB has also had meetings with Forest and Bird representatives from the Stillwater and Whangaparaoa branches who have undertaken to clear the traps on the Stillwater end of the track and who run their own pest eradication programs on the peninsular. Birders on the walkway should look out for a couple of spoonbills spotted by Peter Townend. He looks after Dacre cottage and its surrounds. All walkers should watch where they put their feet close to the high water line along Karepiro bay. 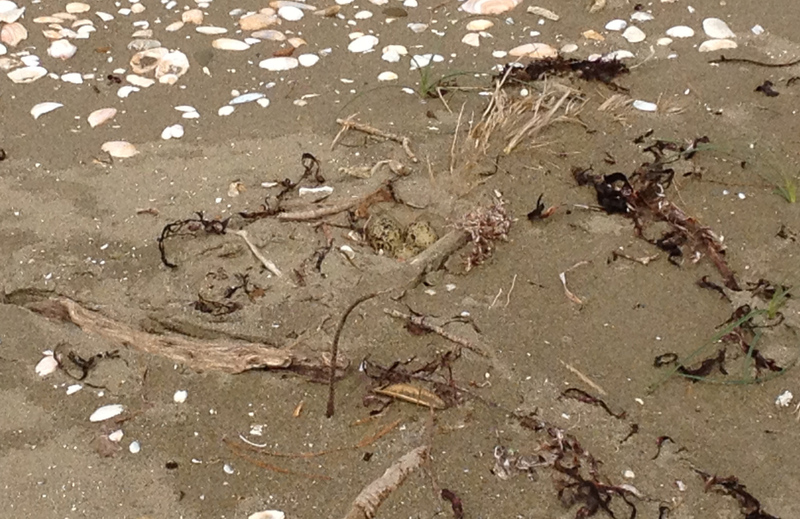 David Rees, from Stillwater Forest and Bird, sent this photo of a dotterel nest he almost stood on. 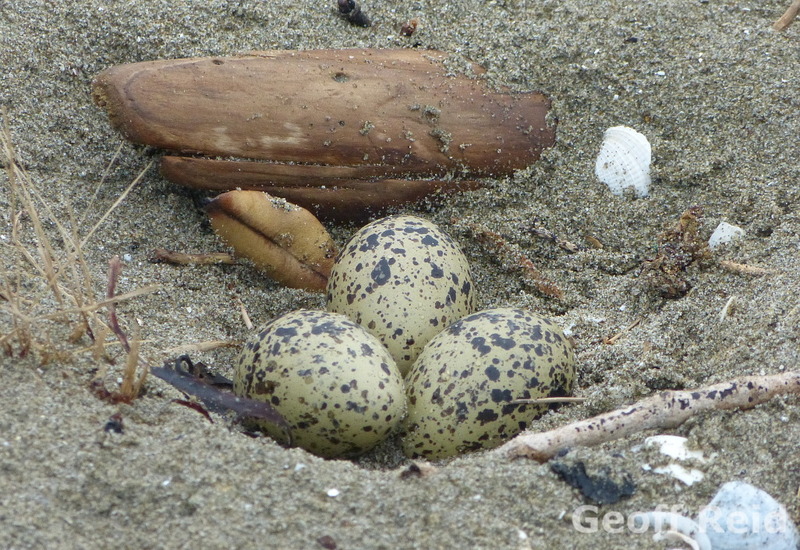 These dotterel nests are crucial evidence for submissions that have been made to the Auckland Unitary Plan against the city’s designation of Weiti station for a population of about 5000 people. The developers have described Karepiro bay as a “failed” dotterel breeding area but the area is classed as a ‘significant ecological area”. 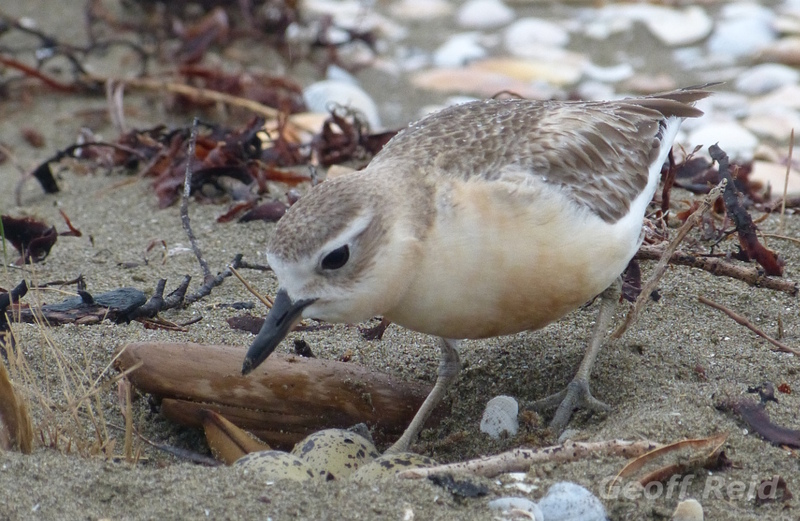 Female Dotterel cares for her eggs. We ask that track users discourage all dog walkers and if they do not comply to please call council on 09 3010101 and ask for the north shore dog control team. 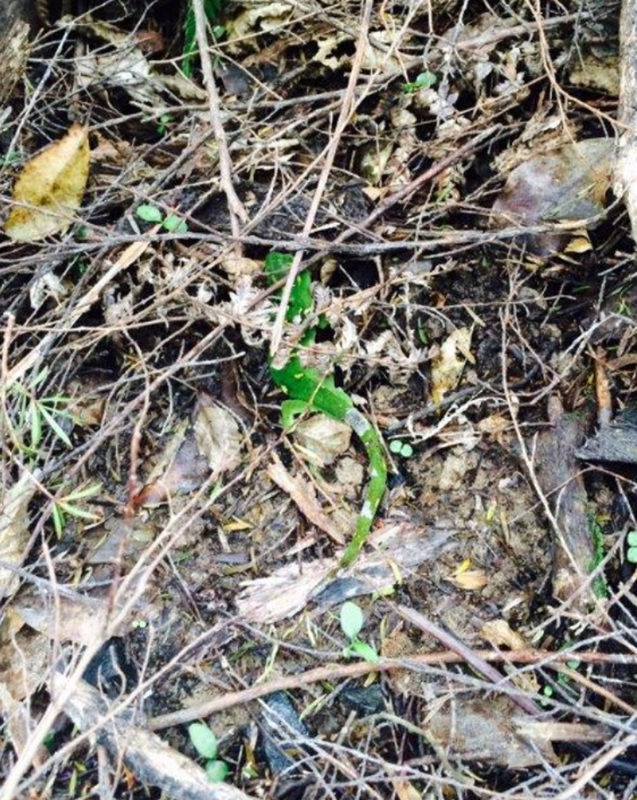 You might even be lucky enough to see the Auckland green gecko, identified by Rob, one of our alert volunteer trappers. or to Geoff or Lezette Reid at 109 Haigh Access Rd, Redvale. A healthy membership is a prerequisite when making applications for funding.